Published by Hitchin British Schools Trust in 2013. ISBN 978-0-9536851-8-9. 28 pages Price � Obtainable from the Hitchin British Schools Trust at 41/42 Queen Street, Hitchin SG4 9TS by post (�60) or in Bedford at the Tourist Information Centre, the Higgins Museum and the John Bunyan Museum. All proceeds to the Hitchin British Schools Trust. An authorative and well-illustrated guide to eleven important public sculptures in Bedford town centre, with notes on the statues and the sculptors. The statues chosen include those of John Howard (1894) and Sir William Harpur (1768), the memorials to the South African (Boer) War (1904) and First World War (1922), as well as more modern works such as the busts of Glenn Miller (1994) and Trevor Huddleston (1999) and The Meeting (1996) and Verso Domani (2009) group scultures. There are superb colour photographs of each statue. 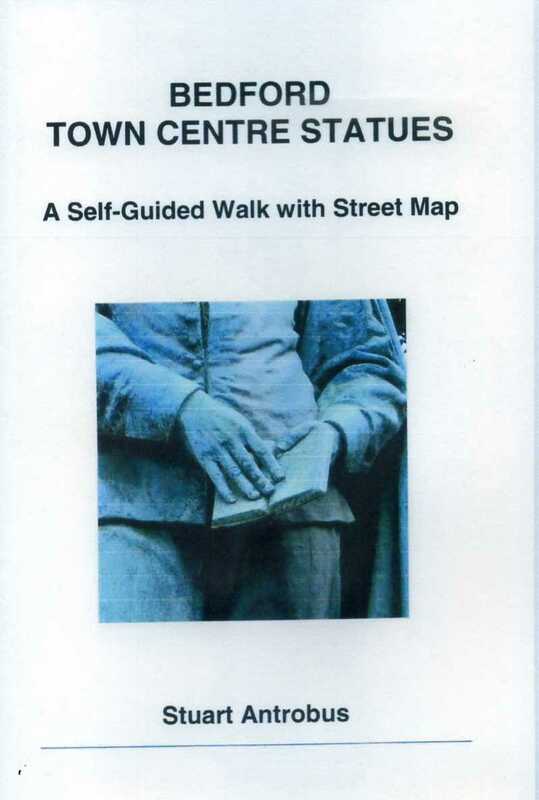 The book has been designed for use as a self-guided walk (just under two hours), and includes a clear map showing the statues� locations. This unique and inexpensively priced booklet is strongly recommended to all Bedfordians.